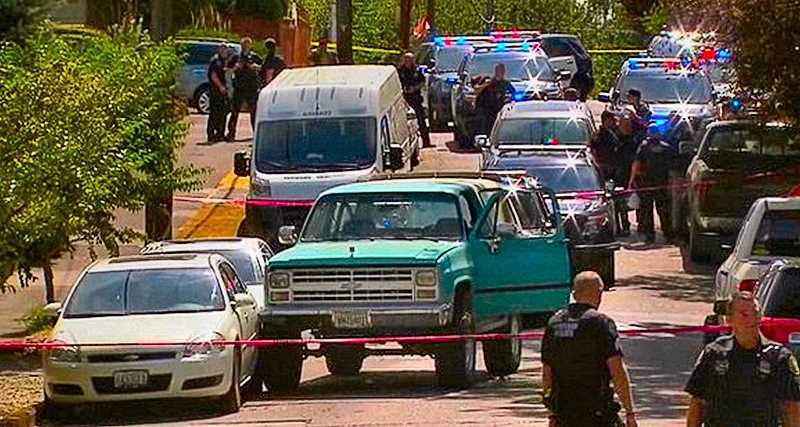 An officer-involved shooting occurred near 55th Avenue and Burnside on August 30 when officers attempted to perform a traffic stop on a stolen vehicle, when it was spotted by officers at S.E. Chavez Boulevard (formerly 39th) at Clinton Street, not far from Cleveland High School. The suspect sped off when officers tried to stop the stolen turquoise Chevrolet Blazer he was driving. The suspect led officers on a pursuit, before crashing into a parked vehicle on Burnside. The stolen vehicle was associated with a bank robbery at a U.S. Bank Branch on S.W. Farmington Road in Aloha around 9:30 a.m. that morning. According to Portland Police spokesman Sgt. Chris Burley, an officer fired his gun after the suspect didn't comply with officers' commands and the officer suffered an injury in the confrontation. The suspect was transported to a hospital with non-life-threatening injuries, while the officer was treated at the scene. The suspect, subsequently identified as 31-year-old Jesse Lee Brockner, is believed to be involved in two other incidents earlier the same day – a burglary in Yamhill County around 7 a.m. at which he stole the turquoise Blazer, and then the robbery at the bank. According to witnesses, the suspect entered the bank with a handgun, demanded cash, and left with an undisclosed amount of money. Witnesses also said the suspect was a white male, and he left in turquoise Blazer. 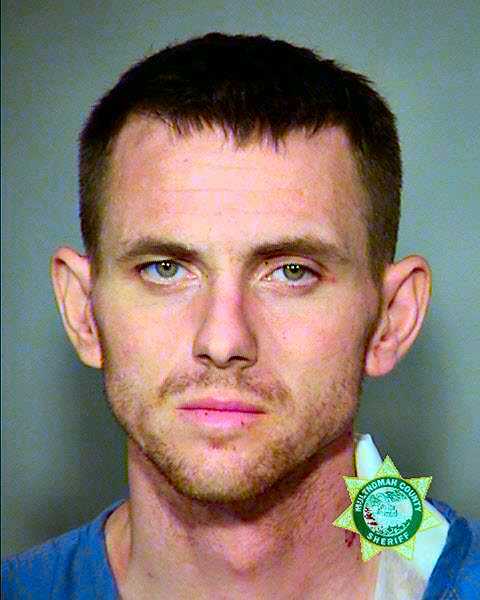 Brockner was treated for non-life-threatening injuries and released from a local hospital the same day, and lodged in the Multnomah County Jail. The involved officer was Officer David Staab, a 24-year veteran. Officer Staab was placed on paid Administrative Leave, which is standard procedure during an officer-involved shooting investigation. The FBI has taken the lead in the Aloha bank robbery and did not release any additional information regarding the incident. BEE news partner KOIN-TV assisted in this report.